Had this error when trying to update SharePoint SPFieldLookupValueCollection using PowerShell. Write-Host -f Yellow "Unable to locate&nbsp;Lookup Item $lookupTitle." I thought it was easy. Turned out that this script WILL ONLY store the last value of the loop that you updated. That means, if you were to have Multiple Value of “A,B,C”, it stores only the C ! It turns out that you just need to include the Type of the object before intializing a PowerShell Variable and it works perfectly fine. Write-Host -f Yellow "Unable to locate Lookup Item $lookupTitle." So please dont forget to do that! This entry was posted in Powershell, SharePoint 2013, SharePoint 2016 and tagged admin, script on January 2, 2018 by Ah Cheng. Bulk importing user profile photo can be a pain in the arse, imaging you have few thousand of employee photos to be imported into your SharePoint. This project could use you a lot of times. To make your life easier, I would like to share my PowerShell script which may save you all the unnecessary time. User Photos named after Account Name of your employee. SharePoint 2010, 2013 and 2016 only. User Photos Picture Library is already created in your My Site Host. Why? Because if you are in a fresh environment, SharePoint will not provision this Picture Library. To create this. You can either go to your Profile Page and upload a dummy photo. or Create it via Site Content, if you are creating it manually, make sure you also create a “Profile Photos” Folder within your “User Photos” picture library. Download and Copy the script into your SharePoint Server. UploadUserPhoto.ps1 -MySiteHostUrl "<Url to your My Site Photos>"
Once executed, there will be a “log.txt” file to show give you the number of user with photos and without photos. The Bulk Import PowerShell that I did actually will establish User Profile Service call to get all user profiles. It loops all user profile and tries to find the user’s Photo (which is put inside “Photos” folder of the same folder). The script checks against the user profile Account Name field, which is also the user’s Active Directory login name. Once it is found, it imports the picture into “Profile Photo” folder inside “User Photos” picture library sitting in My Site Host. The GUID is fixed, and it will work for all SharePoint environment, and the RECORD ID is actually coming from one of the property in each User Profile. This entry was posted in Powershell, Sharepoint 2010, SharePoint 2013, SharePoint 2016 and tagged admin, programming, user profile on September 21, 2017 by Ah Cheng. Having developing SharePoint for so many years, I just got to know that you CANNOT perform CAML Query for Date Range where your ISO Value is a DateTime.MinValue. DO NOT DO this. You will never get any result. The minimal value that you can insert (had some googling around the web), is 1900/01/01. Just make sure you conduct a date time in 1900 year onwards and you will be safe. This entry was posted in Sharepoint 2010, SharePoint 2013, SharePoint 2016 and tagged best practices, CAML, programming on August 27, 2017 by Ah Cheng. Once you have unchecked the field, your “add a page” is now adding to the correct subsite! This entry was posted in SharePoint 2013, SharePoint 2016 and tagged admin, architectural, configuration, publishing, tips on April 5, 2017 by Ah Cheng. 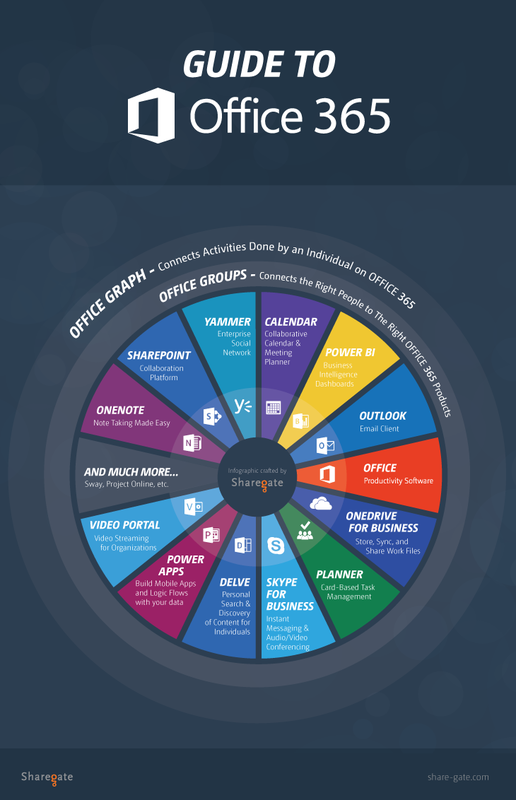 Found this useful piece of information that may help any of you to sell Office 365.
if you customer challenge you “Why using Office 365?” Slap them with this! This entry was posted in Office365, Sharepoint 2010, SharePoint 2013 and tagged achitecture on January 13, 2017 by Ah Cheng. I have a request to get a restored SharePoint 2010 up for some recovery. The existing SharePoint is still running while having its same Image restored to a separate Server, the first key important thing is that the cloned Server should not have the same Host Name as per the existing one. Once you boot up the cloned Server, the HostName is changed and you will hit Error when connecting to SharePoint configuration server. So, if you run SharePoint Product Configuration Wizard, You will hit error again saying you cannot connect to existing Config DB. Simply because your cloned server is still pointing to OLD Config DB (OLDHOSTNAME\SQLInstance). stsadm.exe -o setconfigdb - -databaseserver "<DatabaseServer>" -farmuser "<DOMAIN\YourFarmAccount>" -farmpassword "<YourFarmAccount Password>"
This entry was posted in Uncategorized on August 4, 2016 by Ah Cheng.